Please see bottom for downloadable brochure! Siehe Link unten zum Herunterladen einer deutschsprachigen Broschüre! 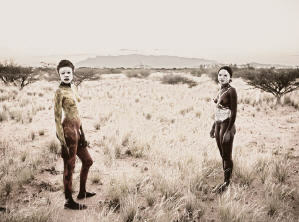 "Combining awe-inspiring Namibian landscape with the grace of Namibian models, creating truly unique photographic opportunities and allowing an intimate glimpse into Namibian culture"